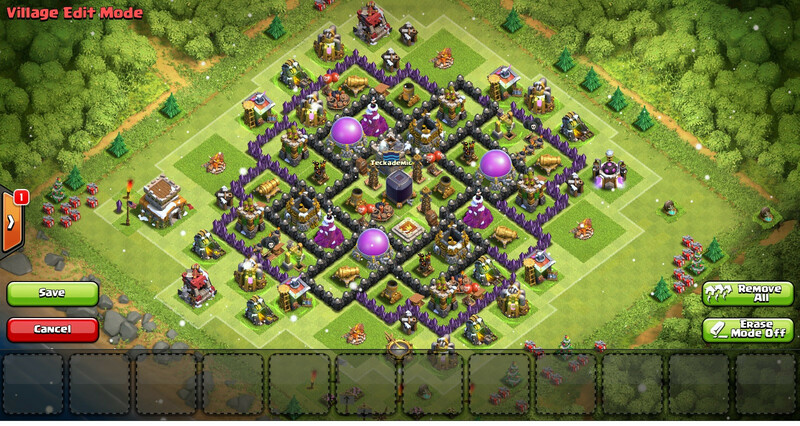 For our TH8 members here is a elite TH8 base design. 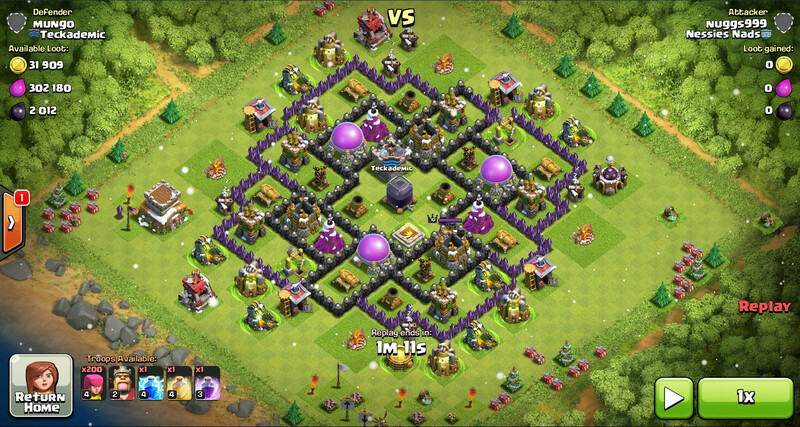 I tested this base out as TH8 for 3 months with numerous different bases and this one hands down was the best. It has the best overrall protection for all storages and defends DE excellently, especially agianst TH9's. If you are TH8 I highly recommend this base. Switch DE with CC for most optimal DE protection.